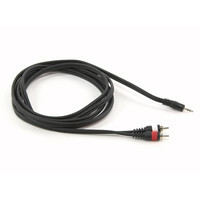 3.5mm (1/8) Minijack to 2x Phono (RCA) Lead 5m (10) shielded cable. This entry was posted in Gear4Music and tagged G4M. Bookmark the permalink.